1974– Honour Roll Number 147. #29984 Constable Roger Emile Pierlet age 23 was murdered during a routine vehicle checkin Cloverdale BC. Two demented criminals; John Miller and Vincent Cockriell, spent the night drinking and ranting about how much they hated the police. Eventually they decided they should go and kill a policeman and left Millers house in nearby Langley and hopped in their 1964 Dodge and drove to nearby Cloverdale. There they drew attention to themselves by squealing their tires, throwing a bottle through a window of the Justice Building and driving erratically. After stopping their car on 176thStreet and radioing his location and the suspect licence plate number Cst. Pierlet approached the vehicle. As he spoke to the driver John Miller, Vincent Cockriell shot him in the chest with a 30-30 lever action rifle. As the murderers sped away Cst. Pierlet crawled back to his car and collapsed on the ground. Pierlet’s backup officer #27648 Cst. William J. Mead found Pierlet within minutes, but he was too late to save him. He quickly radioed for an ambulance and alerted the detachment members that Pierlet had been shot. Several road blocks were quickly set up in area and the suspect car was soon found. A dangerous high-speed chase ensued with speeds reaching over 120 miles per hour and the suspect’s plowing through a roadblock. The chase continued onto the Port Mann Freeway before the car was finally rammed off the road by Csts. #27652 Larry Misner and #29646 Blaine Everett. The cowardly murders quickly surrendered and were taken into custody. Miller and Cockriell were charged with murder, convicted and sentenced to hang but in 1976 the death penalty was abolished so their sentences were changed to life imprisonment. By 1995, Cockriell was already receiving day passes from prison! Adding to the tragedy Cst. Pierlet’s parents arrived in Vancouver later the same day for a visit with their son only to be met at the airport and advised of his murder. After a massive funeral service Roger Emile Pierlet wasburied at the RCMP Cemetery in, Regina, Saskatchewan. 1978– Commanding Officers Commendations awarded to Constables #27577 Gary Buss and #29982 Mike Barrett at Penticton, B.C. for alerting the occupants of an apartment building that had caught on fire. All of the occupants were able to get out safely except for one. The members entered the blaze and rescued the one remaining occupant. 1990– Any landing you survive is a good landing! #33880 Cpl. Peter Markgraaf was piloting a RCMP Beaver airplane CF-MPE when it crashed on takeoff from Fort Ware. Though the airplane was destroyed in the crash both the pilot and his passenger walked away with minor injuries. #45528 Constable Wael Toufic Audi,age 29 was killed on the treacherous Highway #99 “The Sea to Sky Highway” near Squamish, BC when he attempted to complete a U turn in his unmarked patrol car. After identifying a speeding vehicle Cst. Audi activated his emergency equipment with the intent of pursuing the violator. As he began the turn the car following him slowed down, but a tour bus pulled out and passed the slower vehicle and broad sided the police car killing him on impact. Constable Audi was a five-year member of the RCMP. 1964 –Tidal Wave hits Port Alberni BC. 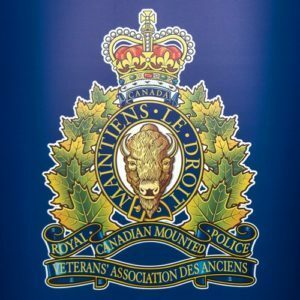 1983– Three members of the WhitehorseYukon Detachment responded to an emergency call involving a woman floating in the water and ice of the Yukon River. #17964 Staff Sergeant John William Pringle, #29522 Corporal Robert AlexanderWheadon, and #30795 Robert PeterDunlap rushed to the river’s edge and saw a woman floating near the edge of the ice. They immediately jumped onto an ice floe and attempted to rescue her. Cst. Dunlap was the first to reach her and he tried to pull the woman out of the water with a long pole, but due to her hypothermic condition she was unable to hold on and then disappeared under the ice. Risking to their own lives the three men probed the soft ice searching for the woman. Eventually, her blue jacket was seen through the thinner ice and S/Sgt. Pringle smashed a hole in the ice and caught hold of her and with the help of Cpl. Wheadon and Cst. Dunlap the men pulled the unconscious woman onto the ice. They immediately began cardiopulmonary resuscitation and continued resuscitating her until she regained consciousness. In recognition of their bravery all three men were awarded the Medal of Bravery. 1987 – On this day Constable #36440 Evan Graham was dispatched to a report of a drunken woman who was firing a rifle into the air in the community of Tuktoyaktuk NWT. When he arrived on scene, he discovered that the suspect was very drunk, standing in the middle of a frozen pond and was swinging a rifle around in the air. Constable Graham then realized that the women was a former matron who had worked at the local detachment and this spot was where her daughter had been killed by an impaired snowmobiler a few years earlier. When she saw the policeman, she looked at him, pointed the rifle at me and yelled out “one of you f***ing Mounties is going to die”. Constable Graham was alone without backup and saw her try to rack a bullet into the chamber of the bolt action rifle, but the bullet jammed in the rifle. As she struggled to remove the bullet the policeman used the opportunity to rush out onto the ice and tackle her. After prying the weapon from her she was taken into custody without any further incidents. A year later Constable Evan Graham was presented a Commissioner’s Commendation for his actions. 1885- Honour Roll Numbers 6, 7, and 8. #1003 Cst. Thomas James Gibson age 24, #852 George Knox Garrett age 24, and #1065 George Pearce Arnold age 25 were killed in action at the battle of Duck Lake, in the North West Rebellion. After a rebel force lead by Gabriel Dumont 1838-1906 seized the trading Post at Duck Lake Saskatchewan an ultimatum was sent to #O.10 Superintendent Lief Newry Fitzroy Crozier telling him to surrender the NWMP post at Fort Carlton. Expecting a show of force would quell the rebellion Crozier lead a force of 56 policemen and43 men from the Prince Albert Volunteers to Duck Lake. What Superintendent Crozier didn’t know was that the Rebels outnumbered them and were laying inambush. The two forces clashed about two miles from Duck Lake and the police and volunteers were caught in the trap and twelve men were killed and eleven more were wounded. Fortunately for Crozier’s men, Gabriel Dumont was wounded in the battle and the loss of their military leader enabled the Police and volunteers to retreat to Fort Carlton. Among the men killed in the battle was Cst. Thomas James Gibson who had been shot through the heart. He had only been in the Force for a year. Initially he was buried in a common grave at Fort Carlton with two other constables; # 852George Knox Garrett HR7 and #1065 George Pearce Arnold HR8who died the next day from wounds they received at the Battle of Duck Lake. Eventually the bodies were interred and received a proper burial at St. Mary’s Cemetery in Prince Albert Saskatchewan. #O.10 Supt Lief Crozier (wounded). 1941– Honour Roll Number 67. #12223 Engineer 3rd Class Daniel Everett Gillis age 32 died, when H.M.C.S. “Otter” caught fire and foundered, off Halifax, N.S. A native of Cape Breton Island, Daniel Gillis served in the Protective Service for two years and became a member of the RCMP Marine Division when the Service was absorbed into the RCMP in 1932. Throughout his career he served aboard the RCMP vessels Adversus, Preventor, Islander, Alert and Alarm. When war was declared in 1939 he along with every member of the Marine Division was transferred to the Royal Canadian Navy and eventually he ended up serving aboard the HMCS Otter as a Chief Motor Mechanic. On the night, he died the Otter caught fire and foundered in the icy waters of the North Atlantic Ocean near Halifax Nova Scotia. The loss of the ship resulted in the death of 19 of her 41-man crew. Gillis’s courage in supporting other members of his crew after their lifeboat had capsized was later mentioned in dispatches. He died of exposure shortly before a rescue ship picked up the survivors. He left behind a wife and six children and was later buried in the Mount Olive cemetery in Halifax. 1977 – The Meritorious Certificate from the Most Venerable Order of the Hospital of St. John of Jerusalem is awarded to #29012 Constable Barry P. Bates for saving the life of Helen Vogt a victim of an automobile crash near Coleman, Alberta by applying cardio pulmonary resuscitation. 1984– Inspector P.M. Cummings and Sergeant H.L. Kennedy awarded Commissioners Commendation for Outstanding Service. 1988– Constables #39476 R.J. MacLean and #37548 P.M. Delaney-Smith, were faced with a very dangerous challenge when they responded to a complaint regarding an armed intoxicated and mentally unstable man causing problems in a house at Ship’s Cove, Newfoundland. The constables managed to apprehend the violent man without incident after they were confronted by uncooperative occupants of the house the man was in. In December 1988 Constable MacLean was awarded Commissioners Commendation for bravery by Commissioner Inkster. 1962– While flying over Stewart Lake near Fort St James B.C. an aircraft saw a hole in the ice and contacted the RCMP. Constables #17372 Ted Mason and #21253 Frank Michalski were sent to the scene. Laying planks on the ice they were able to crawl out to the hole and spotted a submerged car. Constable Michalski entered the water and after several dives in the chilly water was successful in recovering two bodies from the vehicle. 1965– RCMP seize $25 million worth of pure heroin in Montreal. 1972– Most members of the RCMP serve an entire career without ever receiving an official commendation for bravery or outstanding service. On this day retired Corporal #14858 Carl Turner Ingalls earned a Commissioners Commendation after he came to the aid of members from Thompson Manitoba who had responded to a disturbance at a local hotel. When plain cloths member, #21761 Corporal Charles. C. Koppang waded into the crowd to break up a fight he was alerted by Ingalls who happened to be at the scene. Inglalls had spotted a gun in the hand of one of the combatants and yelled “look out Chuck, he’s got a gun”. Ingalls then rushed into the fight to assist his friend and though the gunman threatened to kill him, he helped Corporal Koppang subdue and disarm the man.